The adversaries are at odds over how much e-toll collection company ETC was paid. 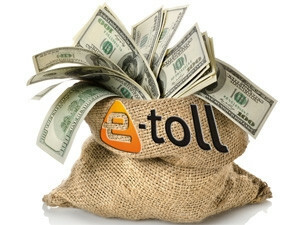 Old foes, the South African National Roads Agency Limited (Sanral) and the Organisation Undoing Tax Abuse (Outa), are at it again as the e-tolls saga rages on. 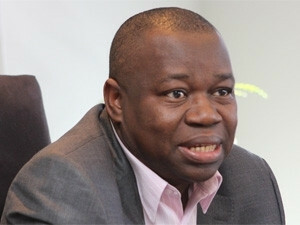 This time the adversaries are arguing over the amounts collected from the e-tolls programme. Yesterday, Outa issued a statement pointing out that following transport minister Joe Maswanganyi's recent update and explanation of the e-toll situation in Parliament last week, Outa had deduced that of the R2.9 billion e-toll income received from motorists since inception (December 2013) to March 2017, "the Austrian-owned e-toll collection company ETC was paid R2.2 billion (74%)". This is a clear indication of how irrational the scheme has become and what makes matters worse is the compliance levels continue to decline year-on-year, says Outa. At an average of R55 million per month paid to ETC, and with the current e-toll income levels at around R63 million per month, virtually no money is going toward the e-toll bonds, it notes. This is clearly a problem for Sanral and explains why its bond auctions are not attracting any investors, pushing this state-owned entity to the brink of financial failure, it claims. "Our assessment of Sanral's latest reporting indicates they are not accounting for e-toll revenues billed at the punitive tariffs, but instead are reflecting their invoicing and outstanding revenues at the discounted e-tag rates," says Wayne Duvenage, Outa chairperson. Reflecting all e-toll invoices at the discounted rate suggests Sanral wants to present outstanding debt lower, despite the fact that they are reflecting the outstanding debt to unregistered road users at the higher punitive tariff, Outa adds. At the discounted value, Sanral will still be owed around R9.2 billion as of the end of March 2017, it notes, adding Outa believes Sanral will not be able to collect a meaningful portion of this debt, regardless of litigation outcomes going forward. According to Outa, the e-toll litigation process is in full swing, with Outa having filed its papers in response to Sanral's declarations against its members. These cases will be ventilated in both the high court and magistrate courts in the later part of the year. In all instances, there is a constitutional element to each case, along with the technical elements that will be argued. Outa believes the courts will not want to be clogged up with numerous cases and that a few cases will first be tested in court to establish the way forward for the e-toll debacle, the Outa statement continues. "We believe our cases are all extremely strong," says Duvenage. "Not only are Sanral going to be faced with a tough challenge when it comes to defending the lawfulness of the e-toll decision on constitutional grounds, but we have also uncovered numerous failures when it comes to billing errors and processes within the scheme." Meanwhile, Sanral spokesperson Vusi Mona has responded by saying Outa is focusing on the cash collected and that skews its calculation. According to Mona, the non-payment of a toll cannot be used as the basis on which to determine the cost of collection, as the current on-going litigation will determine the ability to realise the revenue. "In terms of the previously reported revenue, the toll operation costs are still aligned with the 17% anticipated cost of collection. Unfortunately, toll collection is impeded as a result of Outa and others' relentless campaign encouraging non-payment of e-tolls, which is unlawful," says Mona. He points out the toll operations company (ETC) does not get a percentage of the toll revenue collected but is compensated in terms of a tendered schedule of rates for services delivered. The exact amount paid by Sanral per month differs depending on services provided, he says. ETC is a South African company, Mona declares. "The monthly payment made is dependent on the services delivered and the direct costs for print and post of invoices, municipal rates and taxes, system and infrastructure maintenance costs and other toll operations costs. Statements made that revenue has or will leave the country have been addressed many times in the past. "There is a vast difference between revenue (turnover) and profit. The amount paid to ETC is compensation for services delivered in accordance with tendered tariffs. All operational costs are paid within South Africa; costs such as employee costs, administration costs, communication costs, banking fees, facilities (including maintenance and asset refresh), rates and taxes. All these are paid in the country to local service providers. Only if a profit is made, is there a possibility that it may leave the country, subject to Reserve Bank requirements and tax regulations. This is the case with any foreign company doing business in SA." 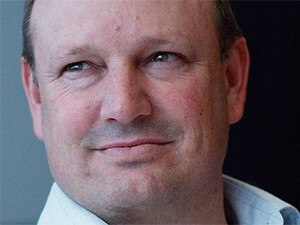 As to statements that "virtually no money is going toward the e-toll bonds and that Sanral bond auctions are not attracting any investors," Mona says the facts are that at Sanral's last bond auction, on 14 September 2016, it received total bids of more than R1.7 billion while it was looking to raise R500 million. "This means we were more than three times oversubscribed. This has meant that we did not have to go to market. We have postponed some of this year's bond auctions due to changes in Cabinet and sovereign credit downgrades. Our next bond auction is confirmed for 21 June 2017." Despite all efforts in the past, the courts have found the project was implemented legally, Mona charges. "Outa's current campaign is based on encouraging road users to break the law. This is unlawful and Sanral is confident the current matters before the courts will find this to be the case. Road users follow Outa's advice, at their peril."